THE Public Health Agency is asking smokers to put plans in place to quit the habit as the New Year begins. They are encouraging smokers to use this opportunity to make a plan, think about what steps they are going to take to stay off tobacco for good, and seek practical support and advice from a free ‘Stop Smoking Service’. 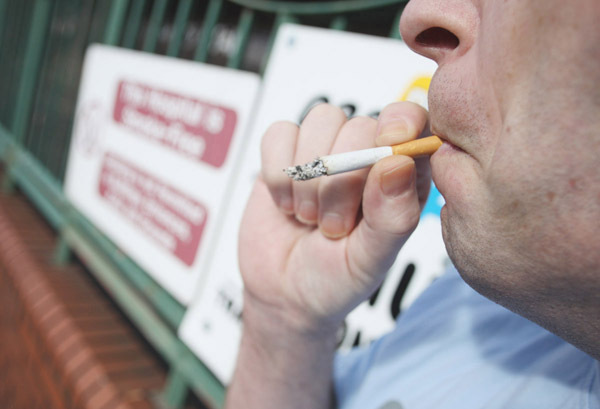 Colette Rogers, Strategic Lead for Tobacco Control with the PHA, said: “In Northern Ireland around 320,000 people aged 16 and over smoke and, sadly, one in every two smokers dies early because of their smoking habit. New Year is a time when many people decide to quit smoking and while some might be able to do it with very little support, others find that planning ahead and making use of the support services that are available can really help them make the decision permanent. Set a specific date on which you want to stop smoking and stick to it. Let people know so they can support you in your quit attempt. Try to encourage a group of your friends or family to stop with you and support one another. To get started, it is really useful to have a careful look at what you do at the moment. Review your smoking habit and change your routine to avoid situations when you usually smoke, eg if you smoke having a cup of coffee, try tea instead. If you smoke first thing in the morning, take a shower instead, or if you smoke when you are on the phone hold a pencil and doodle. If you smoke on your way to work, take a slightly different route to help change your routine. In the first few days after quitting, drink lots of water and fluids to help flush out the nicotine and other poisons from your body. Try to avoid alcohol and coffee, as these tend to increase the desire for a cigarette. Don’t fall into the trap of having ‘just one’ cigarette. Be on your guard against temptation – one cigarette can easily lead to another. Instead of smoking, use the ‘tangle’ found in the PHA’s free stop smoking resource ‘Quit Kit’ as an alternative for something to do with your hands. You can order your kit free of charge by logging on to www.want2stop.info Alternatively, occupy your hands with a stress or tennis ball. Avoid skipping meals or eating sweets as both cause a rapid rise and fall in blood sugar levels which make cravings worse. Put the money you are saving on cigarettes away so that you can buy something you really want. It can help motivate you when things are tough. Quitting a 20-a-day habit will deliver an average £3,420 a year saving.